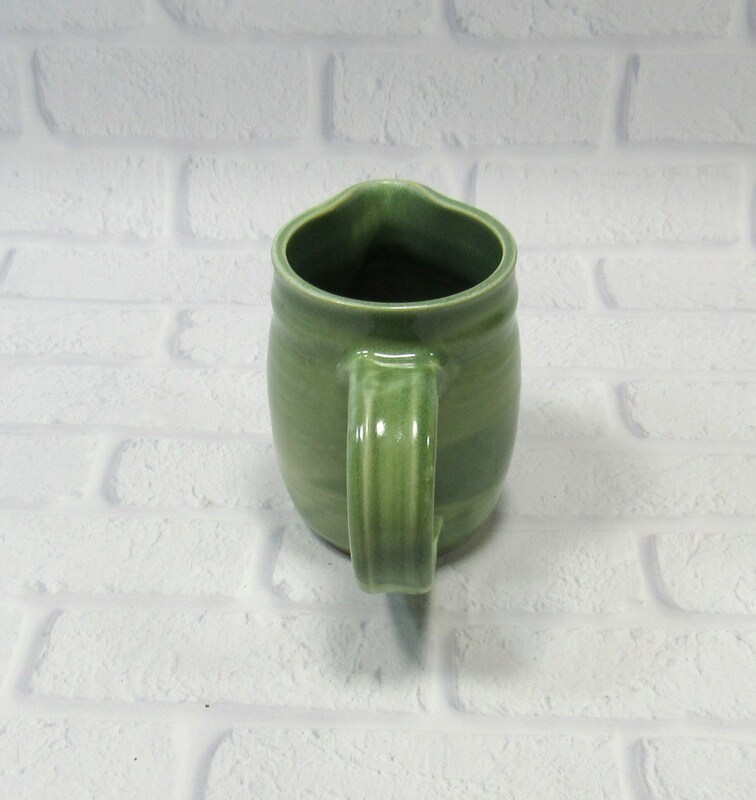 This stoneware pitcher is great for water, juice or milk. 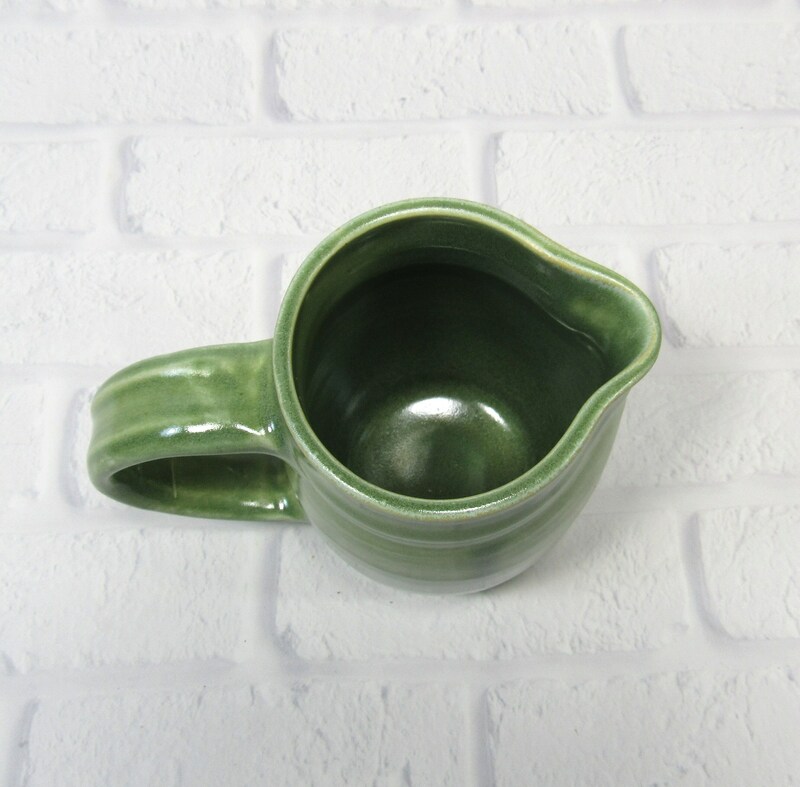 Also use it as a creamer, flower vase or utensil holder. 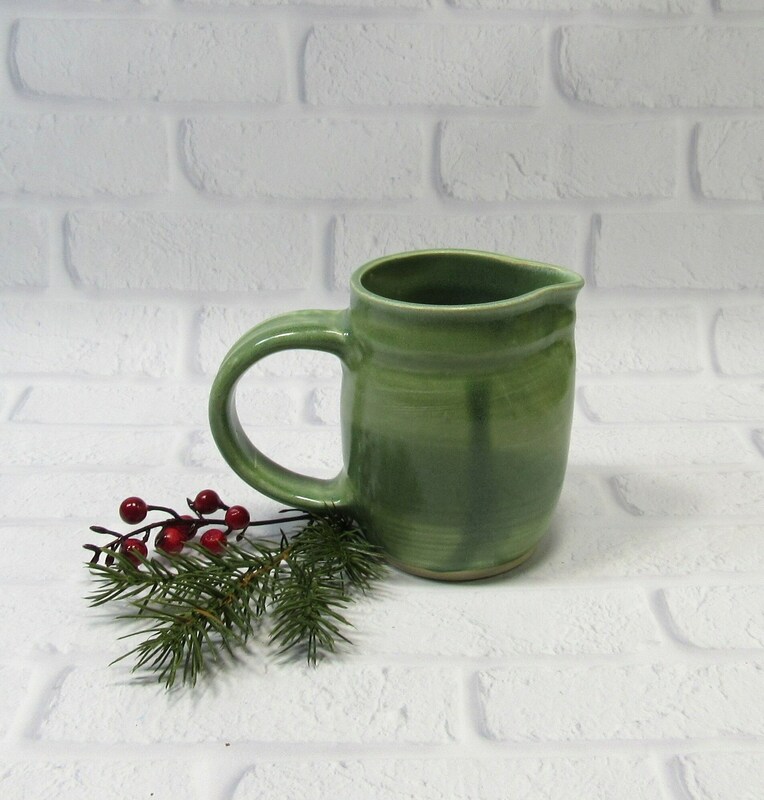 It can be safely used in the microwave to warm up syrup to pour over your waffles or pancakes. 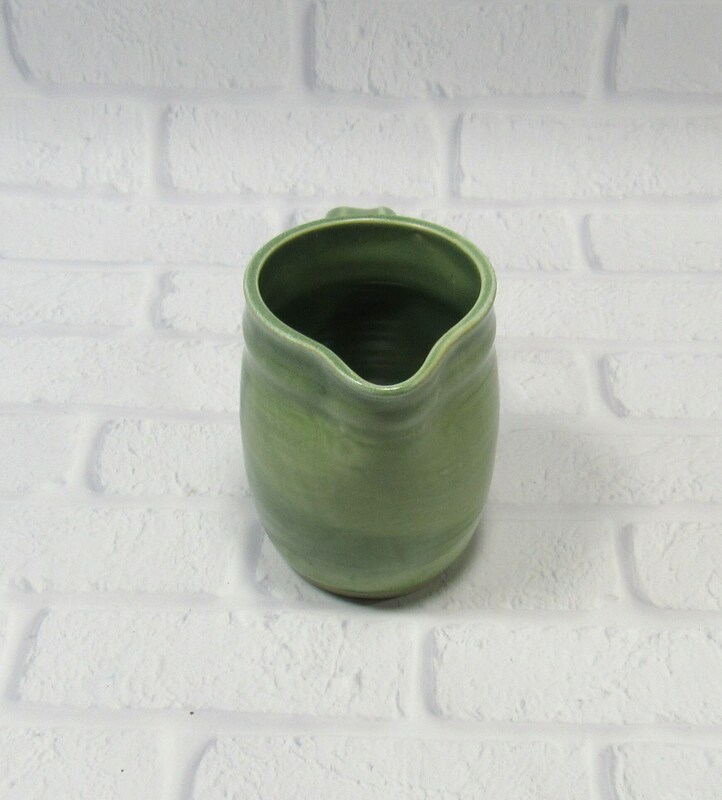 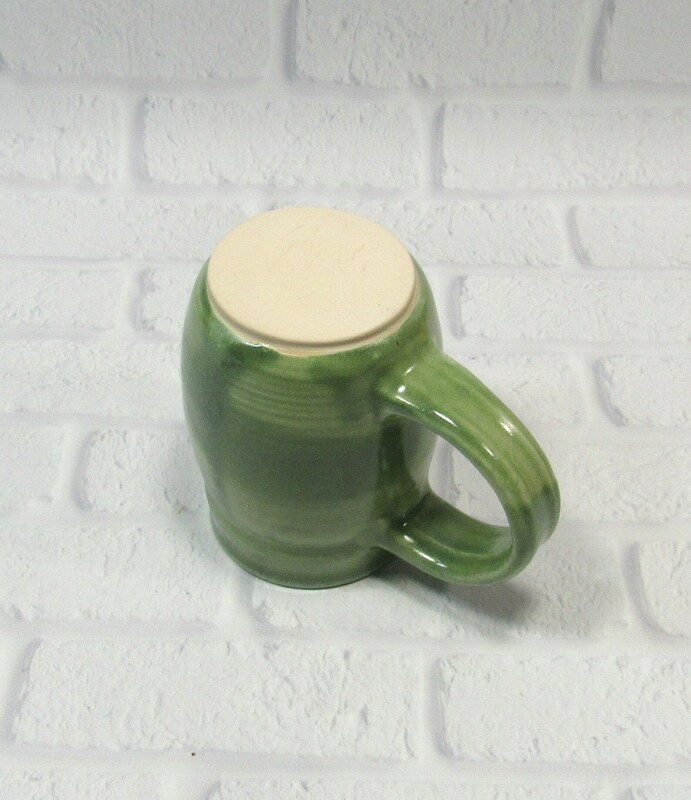 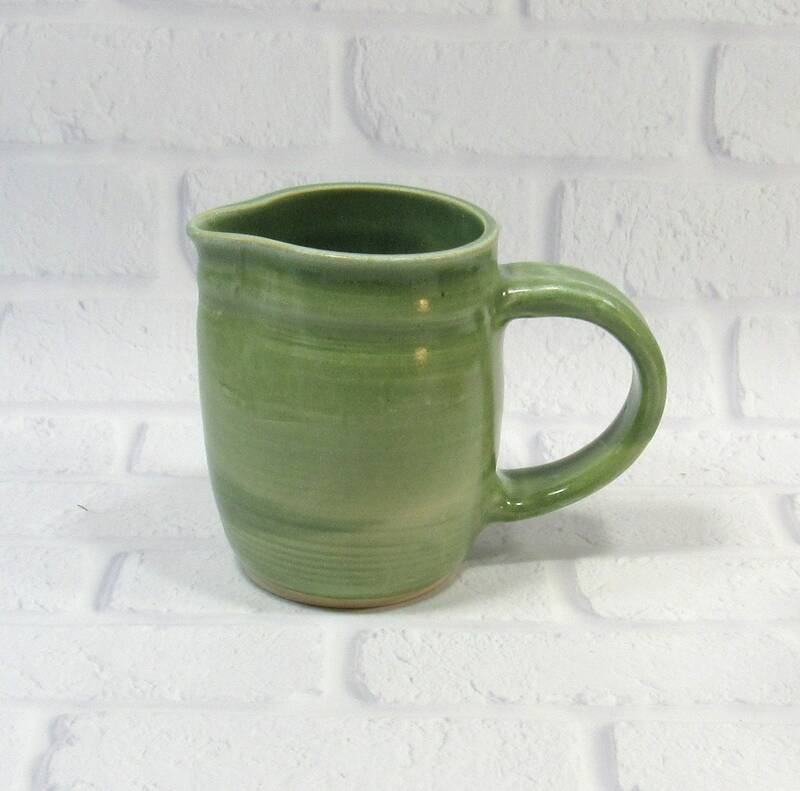 The sage green glaze is a great complement for any kitchen decor. 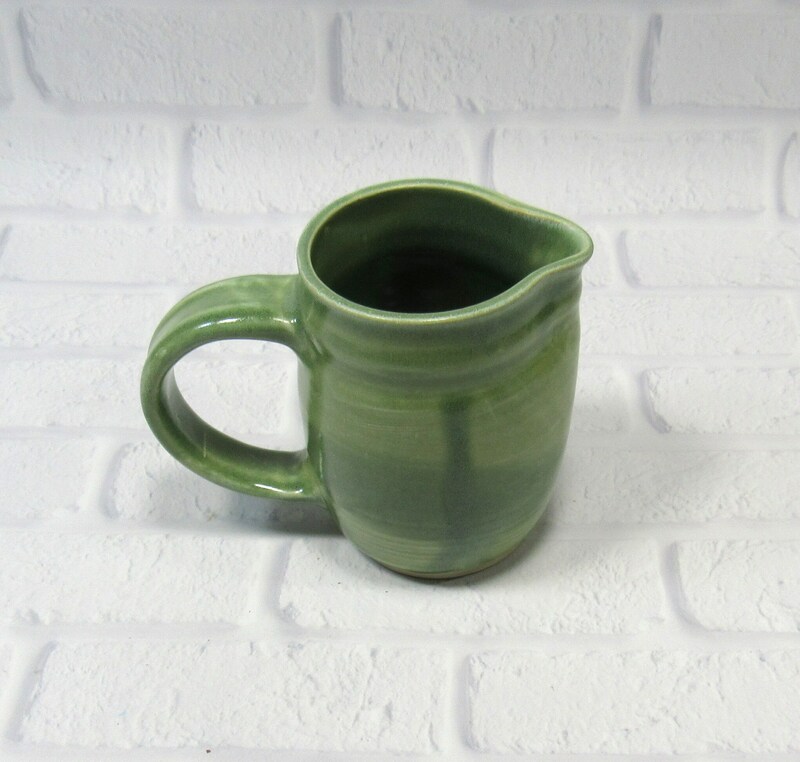 Measurements: This jug is 4.5 inches tall and holds 2 cups (16 ounces). 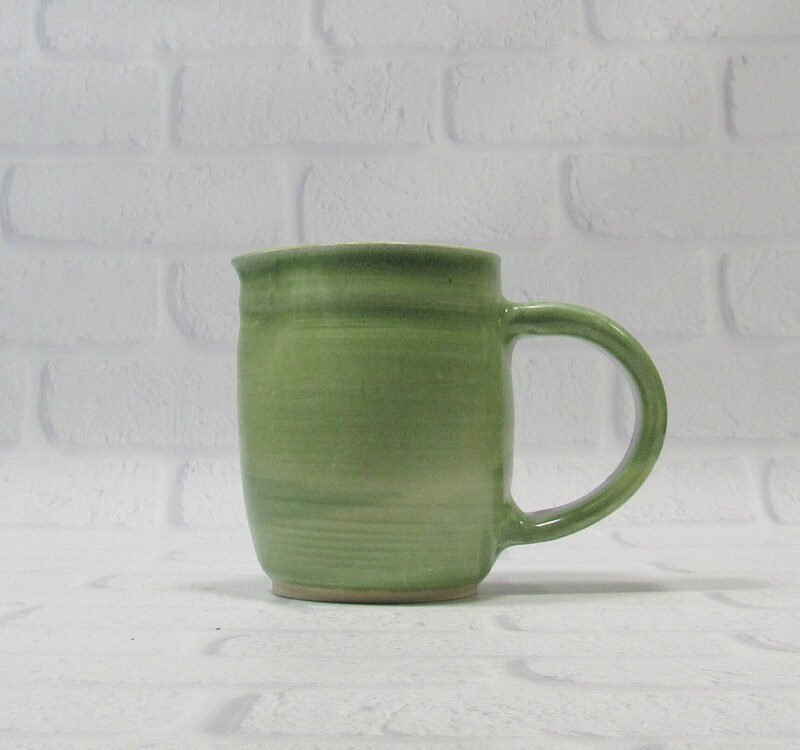 I made it on the potter's wheel in my Virginia studio. 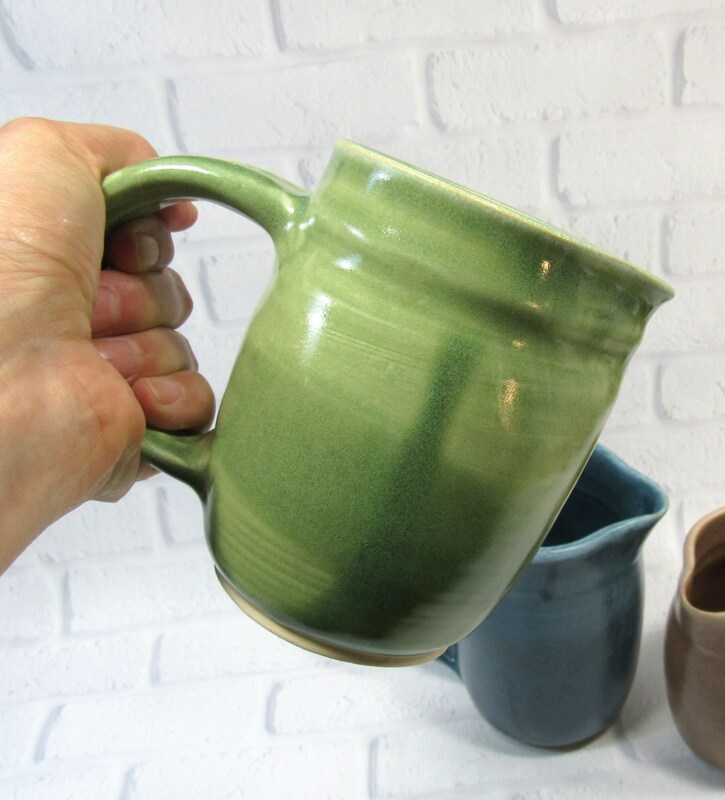 I fashioned the pouring spout while it was till wet on the wheel. 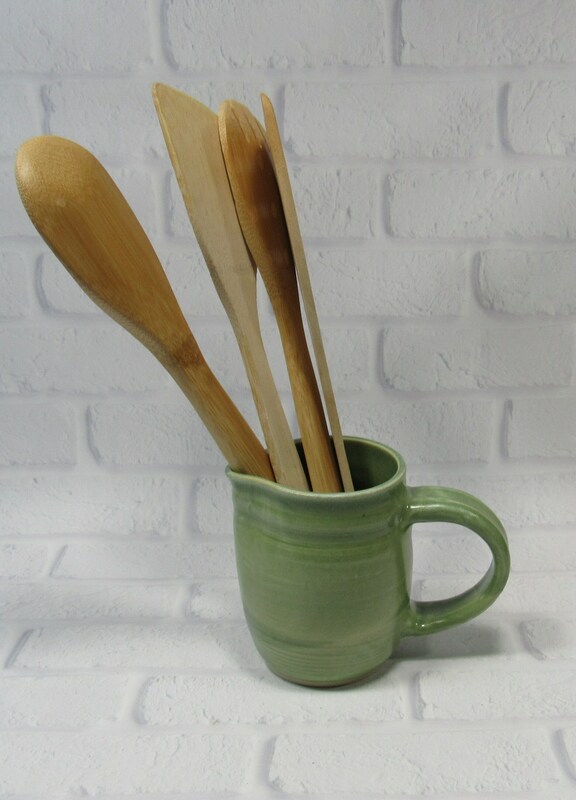 Once it was dry enough to handle, I trimmed it and added the handle.